Many patients often ask their doctors to prescribe Ginseng (Ren Shen) for them because they feel weak. Ginseng (Ren Shen) belongs to the Araliaceae family originating in the primeval forests of northeast <?xml:namespace prefix = st1 ns = "urn:schemas-microsoft-com:office:smarttags" />China. Once, they were all wild. Naturally there were a lot of Ginseng plants that were hundreds and even thousands of years old. However, since there has been nonstop excavation and collection, there are fewer wild Ginseng plants remaining. The Ginseng plants that we commonly see nowadays are almost all artificially cultivated. In the early years, they were even planted n the Central Mountain Range of Taiwan. Ginseng is distinguished by its nomenclature, such as Ji-Lin Ginseng, Korean Ginseng, Japanese Ginseng, and American Ginseng, according to each plant’s place of origin. Korea has a long history of cultivating Ginseng due to the influence of China. Korean Ginseng is also known as Koryo Ginseng and are valued based their quality grade referred to as Heaven, Earth, or Good. 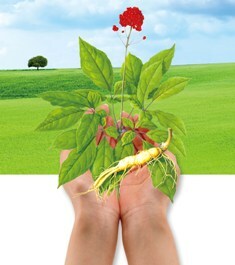 Heaven grade Ginseng, have the highest quality value, and is priced highest. The Earth grade is secondary. There are huge price differences between grades. In the age of the , Shang-Dang Ginseng from Shang-Dang, Shan-Xi was considered the best quality Ginseng. Interestingly, Shang-Dang Ginseng is not an Araliaceae family plant. It belongs to Platycodon (Jie Geng) family.